Staircases have a simple job: Get people from one floor to the next with a minimum risk of tripping or falling. Grand or simple, staircases all have the same basic parts. 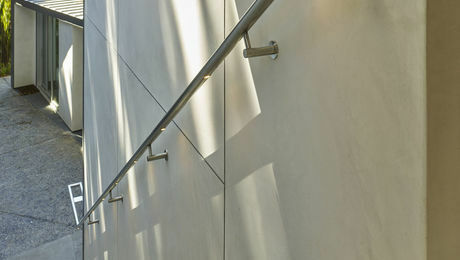 There are treads, stringers, risers, skirt boards, railings and balusters. It’s the putting them all together part of it that can get complicated. Any good carpenter can bang together a basic set of porch stairs in a couple of hours. But even here, there is some basic planning and basic math. 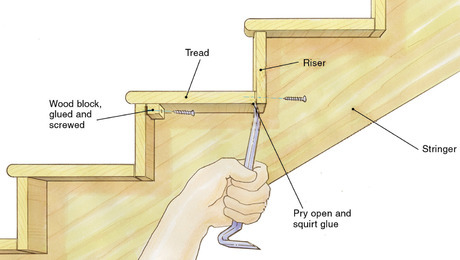 Treads and risers should be uniform and fall within the limits set by the prevailing building code. The stringers and other structural parts have to be beefy enough to do the job. 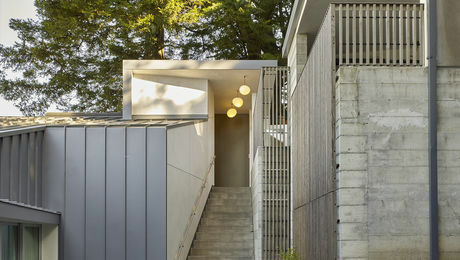 When stairs get more complex, so does the design and construction. A truly elaborate staircase, with a curved railing, say, or a handrail that twists around its lower newel, is going to take a lot of math, and a lot of skill to pull off. 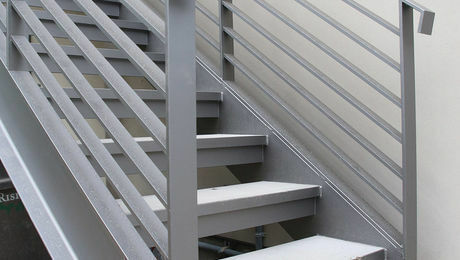 Even minor variances from a plan can make staircases difficult or unsafe to use. One of the intriguing things about stair construction is the sheer variety of possibilities that carpenters have in building them. 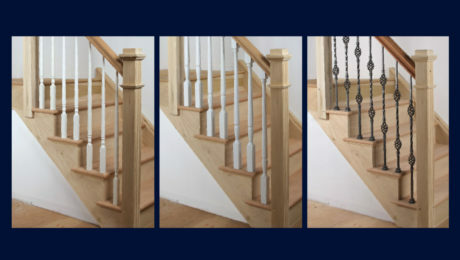 There are as many design ideas for balusters, railings, treads and trim as there are stairbuilders. 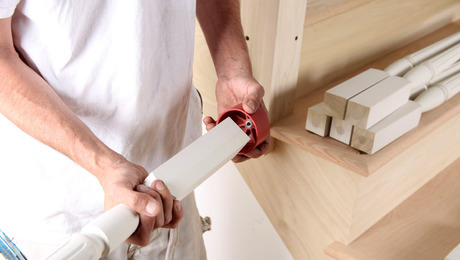 No less important are the construction tips that result in tight joints, no squeaks, and long-lasting functionality. Here again, watching a professional tackle a problem can be a lifesaver. Building a set of stairs, particularly a first set of stairs, can be a daunting exercise even for the experienced. Don’t be put off. This collection of videos and articles will get you headed in the right direction. And if you’re a seasoned professional, there’s still something to be learned. Either way, you’re in the right place. The handrail fabricator has a particular viewpoint, as it turns out! 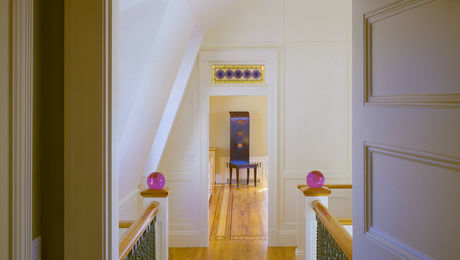 Colorful details tie design elements together in this Boston home renovation. Advice on how to silence squeaky stairs in a new house. 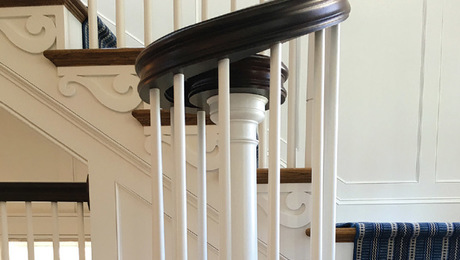 Double-ended lags fasten balusters to treads. An inside look at cutting and screwing railings before baluster installation. 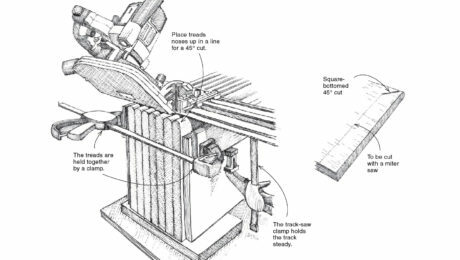 A way to make cutting stair treads for mitered returns easier.